How do I schedule recurring shifts? 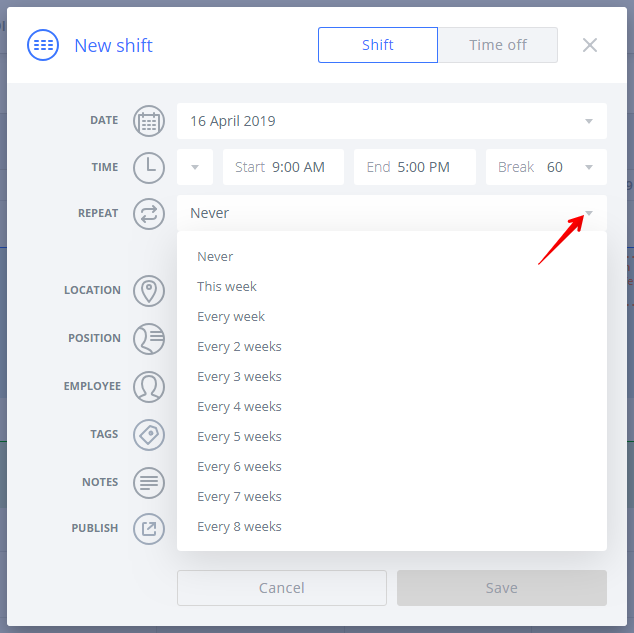 To schedule a recurring shift, you'll click the Create shift button or a spot on the calendar and then select how often the shift should recur under Repeat function. 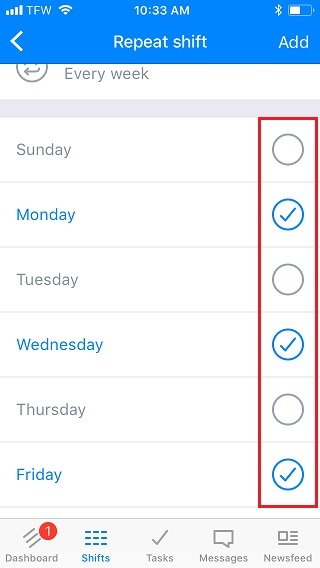 Next, you can choose the days of the week on which the shift will occur and when it should stop repeating. The end date for the recurrence can be set up to one year into the future. If your schedule repeats beyond one year, you can always edit the recurrence later to extend it. Then, just fill in the rest of the shift details. 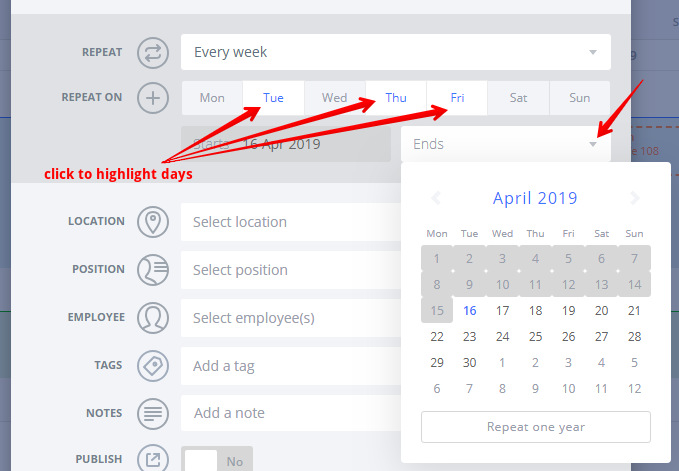 You can choose to leave the employee field blank to create a recurring unassigned shift or you can assign an employee if their schedule rarely changes. Available shifts do not offer the recurrence feature at the moment. 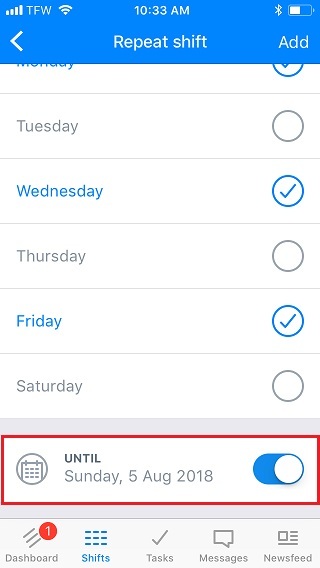 Also note, you cannot edit a single shift to make it recurring. You can only create recurring shifts from the New shift window. 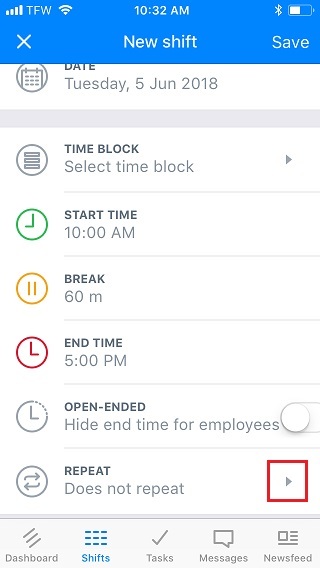 From the Shifts tab, click the options button. 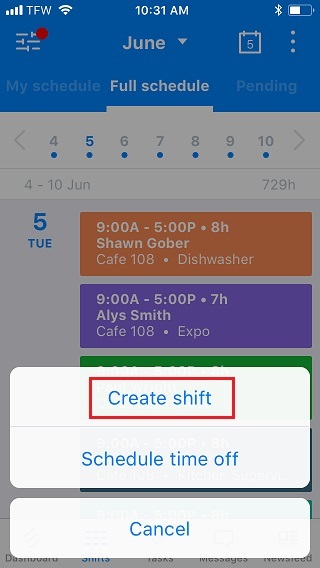 Enter the shift details and be sure to tap the repeat field to choose an option. 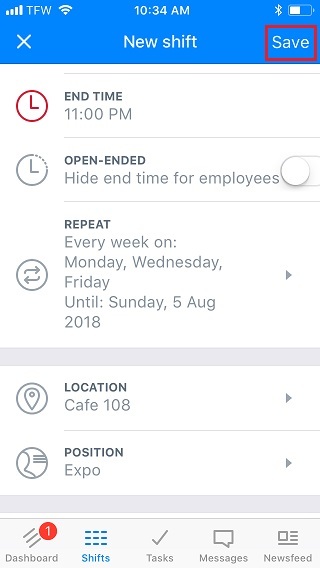 You can leave the employee field blank to create an unassigned shift. 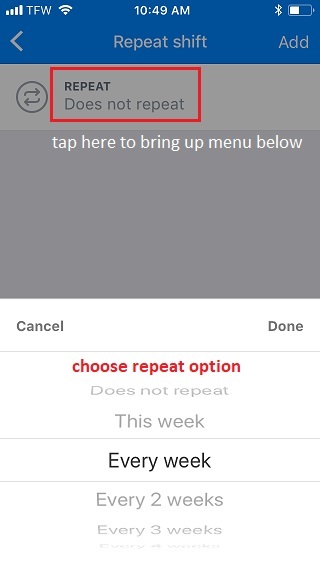 Tap the bar at the top to bring up the repeat options, then choose the frequency. Next, choose the days of the week on which the shift will occur. Be sure to set an end date as well, unless you would like the shift to recur up to one year ahead. Finally, be sure to Save the shift. 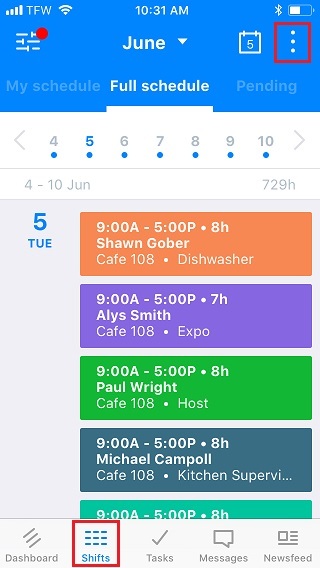 You will now see that there are identical shifts created that repeat on your shift calendar.